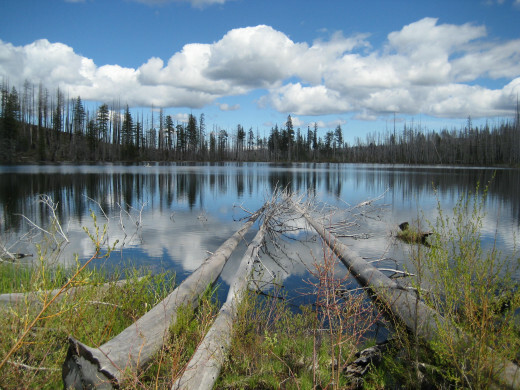 I live in Northwestern Oregon, not far from Portland, about 70 miles east from the Oregon coast and a convenient distance (one and a half miles) from local rivers and lakes. 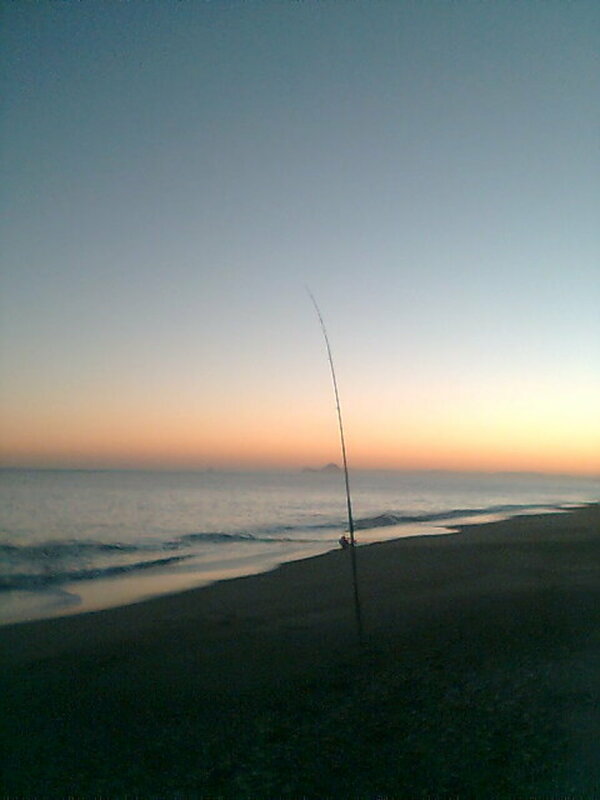 I hope never to live too far from bodies of water because much of what I enjoy is dependent on marine/aquatic activity. A friend is more passionate than I about fishing, and he has a remarkable mechanical aptitude. His garage is full of tools, and he can often be found in his driveway with a partially disassembled automobile engine. He owns a powerboat, and estimates he spends at least two hours in maintenance for every hour the boat is in the water. An empty-nester, he remarked (after a brief review of his checking account) that his boat has surpassed either of his now-adult children as a drain on his resources. When his sons left home and established themselves independently, my neighbor rewarded himself for years of parenting by purchasing a boat, the first of a succession of boats. After my friend voiced a litany of complaints about parts he had to order and maintenance he had to address, I innocently asked if he considered selling it, and he wordlessly looked at me as if I’d drooled on my shirt and lost my senses. There was a patient sadness in his eyes, as though he was an adult discussing a serious subject with a mindless child. I’d have made as much sense if I suggested he divorce his beloved wife. That boat is his obsession, and he would no sooner sell it (without replacing it) than shoot his faithful dog for soiling the carpet. The throaty growl of the twin outboard engines is music to his ears. When he applies power and the wind is in his face, he is ecstatic. He maneuvers his boat well and approaches a dock or slip with the practiced finesse gained from years of experience. He may complain about the necessity to work on his boat or automobile, but he would be difficult to recognize on a sunny, summer day without grease, oil or carbon on his hands. I share none of these mechanical abilities; I am not handy with tools. Experience has taught me that some of my do-it-yourself projects ought to have been left to those who knew what they’re doing. Indeed, a power tool in my hands is an accident waiting to happen. If my wife wants a new appliance, she need only ask me to fix an old one. If something must be built, I will over-engineer it to last for decades. Though I have no consuming interest in boating, I’ve enjoyed kayaks and canoes for many years. I can carry two kayaks without difficulty on my small pickup, and launching is a simple exercise of carrying the kayak(s) to the water and pushing off from shore. Two people can easily carry two kayaks. Maintenance is usually a matter of washing away mud or dirt or flushing the interior with a garden hose. My only “moving part” is a paddle. After 10-11 years, I had to replace a seat on one of my kayaks. My friend cannot understand why I haven’t succumbed to the temptation of boating. 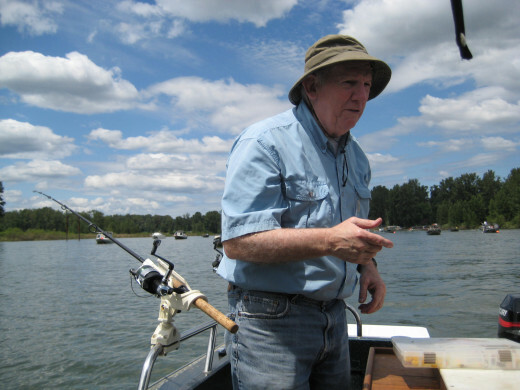 I’ve joined him aboard his boat as a guest and, though I’ve enjoyed the time on the Willamette River or Timothy Lake, I haven’t generated an interest in purchasing anything with an engine. My wife and I have two kayaks. We don’t use them as often as we’d prefer, but we use them well. Neither my wife nor I are whitewater kayakers; we enjoy a quiet day on flat water. 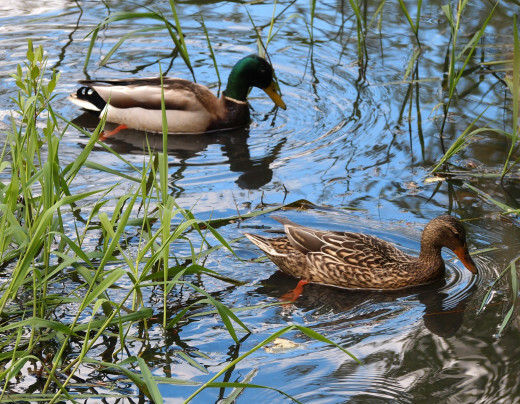 If you and your spouse paddle near each other, you can normally hear conversational tones well. There’s no need to shout above the noise of a roaring engine. There are a great many options and designs but we shopped patiently, carefully, and my wife prefers her Wilderness Systems Shaman, a hull design that slips easily through the water. I rely on a stable, sit-on-top kayak, a Cobra Fish’n’Dive, that serves me well as a platform for paddling, fishing and scuba diving. For example, there are dive sites that require a long, tiring surface swim to reach as a diver, or are inaccessible without a boat of some sort, and there’s a well or space behind my seat for a buoyancy compensator and air cylinder. 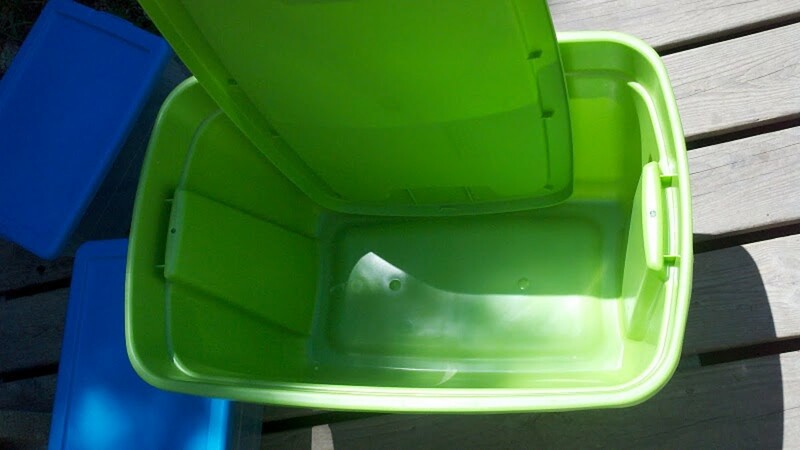 Other accessories can be stowed between my feet or knees, and there are compartments for smaller items or photo equipment that I hope to keep dry until I need it. When I reach the area in which I’ll descend, I lower a 15-lb mushroom anchor with 125 feet of line, usually in 30-35 feet water depth. Opening the valve on my air cylinder, I partially inflate my buoyancy compensator and tether it with a nylon line and carabiner before lowering it into the water beside the kayak, then I put my fins and mask on before slipping over the side to don my weight-integrated BC in the water and initiate my descent. Usually, my first priority on descent is to double-check my anchor to be certain it’s securely in place but it can be retrieved. After the dive ends, climbing back aboard isn’t that difficult. I remove my BC, put my mask and accessories aboard (light or camera) and secure them in place. I leave my fins on, then reach across the kayak and kick to propel myself up and mount aboard. My kayak has a 36-inch beam or width, and (with a little practice) does not overturn when I’m doing this, but I expect that possibility and tether my mask and accessories to a line so they won’t be lost if the kayak is upset. When I’m seated, I can haul my BC and air cylinder with regulator aboard and stow it behind me again. If diving is not a priority, both our kayaks are easily manageable on the flat water of a lake, pond or quiet stretch of river. I’ve enjoyed the kayak for wildlife photography, since many birds are not alarmed by it. If I position myself upwind and stow the paddle, the wind will often move me gently toward the birds or mammals I hope to photograph. I’ve not yet overturned a kayak with camera equipment aboard, but I try to be prepared for the worst-case scenario and usually carry the cameras in waterproof Pelican cases. One of my point-and-shoot cameras (a Canon IS 750) is used in a waterproof housing. Another, a Nikon D5100 DSLR, lacks that protection, so it is kept cased until I’m ready to shoot and conditions don’t threaten it. 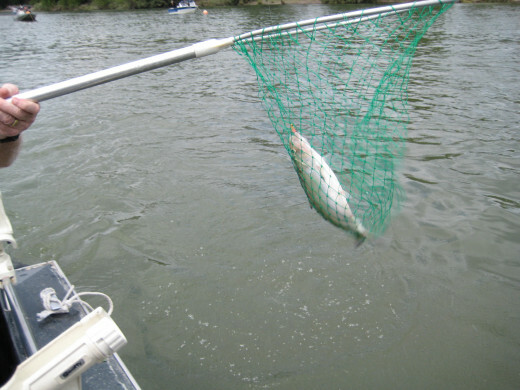 For fishing, I usually use an open-face spinning reel and ultralight rod with 4 or 6-lb test monofilament line, and I secure it to my kayak with Velcro tabs. When I reach a promising area, I make the choice to anchor or tie the kayak in position and cast from the sitting position. If neither scuba or fishing is a priority, we simply enjoy the day on the water and paddle leisurely, enjoying the sunshine and scenery. Both us wear personal flotation devices (PFDs) with the understanding that we may upset or capsize. The water in nearby lakes usually originated as snowmelt, and that water is cold! On a hot day, that can be refreshing, or it can be a bit of a shock. At day’s end, we carry our kayaks back to our vehicle and reposition them on the roof of our camper shell or truck cap, secure them, and return home to rinse them off with a garden hose. It takes much longer to rinse my scuba gear in fresh water than to wash off the kayaks. Briefly, if you live near water and enjoy relaxed touring, fishing, diving or wildlife photography, I recommend a kayak that suits your needs. 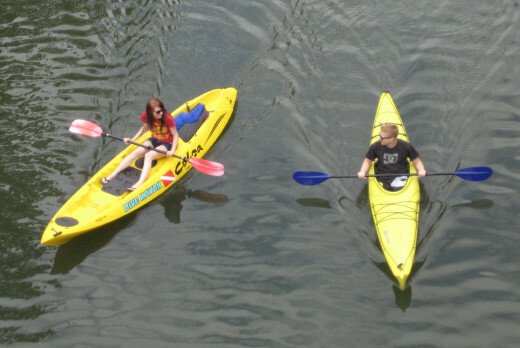 Kayaks normally accommodate one paddler, but there are tandem kayaks for two paddlers. The initial cost of a kayak depends on its design and construction (e.g., polyethylene, fiberglass or Kevlar), but a new recreational kayak of rotomolded polyethylene costs from $320 to about $900, and a more expensive kayak doesn’t necessarily mean it’s a “better” one for your purpose. There aren’t a great many accessories you’ll require, and the type of paddling you prefer will dictate what you’ll need. Years ago, I owned a fiberglass canoe that allowed me to quietly explore shallow waters, wildlife sanctuaries, and slow-moving rivers but I often paddled alone and the canoe would weathervane in a brisk wind. A kayak is less susceptible to that, has an even lower profile than a canoe, and actually takes less physical effort to paddle. I’m 67 years old at this writing, and the heaviest item I routinely lift is a 16-ounce coffee cup. 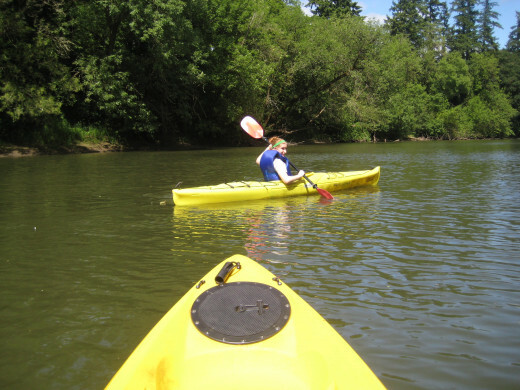 A kayak can provide you with a relaxed tour of a riparian marsh or a great upper-body workout. The choice is yours, depending on where and how aggressively you want to paddle. Often when people move or relocate, they may want to simplify their move or their new quarters may not have room for a kayak or, if children come along and priorities change, they may opt to sell their kayaks. 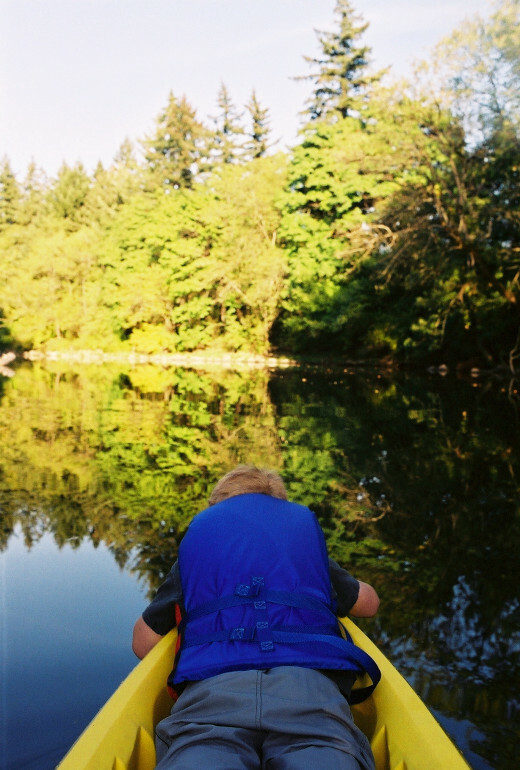 There are many used kayaks that will serve you well if you know what you want. Over time, the ease of maintenance and enjoyment will justify your purchase. Kayaks are available in a broad spectrum of hull designs that offer speed, maneuverability or stability (depending on length, hull and keel design) to suit your preference and experience. If the concept sounds interesting to you, I invite you to consider and explore kayaking as an activity. Dr. Bill, I hope you get the opportunity to join your nephews and nieces in some quiet, scenic location! Tammy, Thank you for reading and commenting! I had a canoe before purchasing a kayak, but the kayak has actually proven more useful to me . If you visit a major retailer, they may have a number of models you can rent or try before you buy, and I've seen some good choices for approximately $325. Prices depend on hull design or purpose, and they can be significantly more expensive, but that investment isn't necessary. My needs are simple - I want to paddle, take a few photos, explore a bit. There are hull designs for sea kayaks that will cut through heavy seas like a sharp blade, but I don't consider that "entry level". Explore and enjoy! Great article and pictures! I have contemplated purchasing an kayak as a means of exploring the coves near my home. I've never been kayaking before so I would start by renting one first. Thanks. Thank you for reading and commenting! The kayak has been a useful platform for wildlife photography, and I've enjoyed our quiet afternoons on lakes and rivers. I'd encourage renting until you're ready to purchase, and you'll probably develop a preference for a kayak that handles well for you. Many creatures are very tolerant of approach with a kayak, and I've been able to move closer than I could on foot. Best wishes. 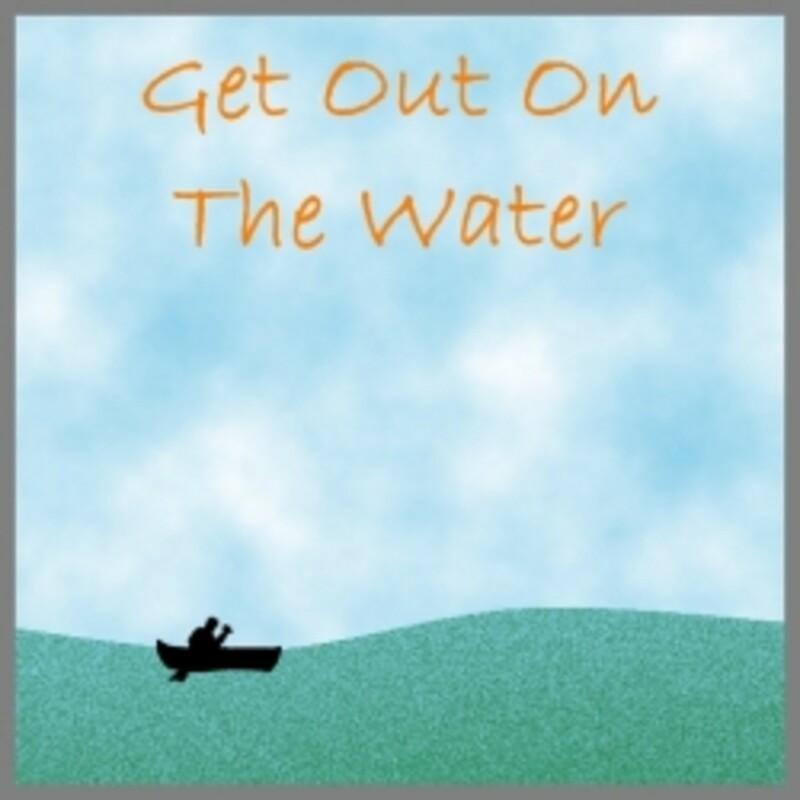 I would love to go kayaking regularly, but on quiet water as you do. It would be a great way to observe and photograph wildlife. Thank you for sharing the information and the lovely photos. 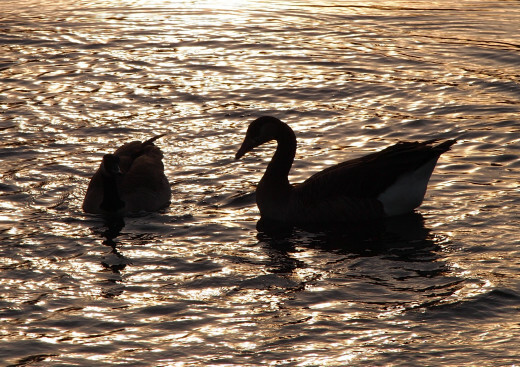 That is a fantastic option, and I enjoyed the photos, especially the geese at dusk. Thanks. Fantastic pictures and a great Hub on kayaking. My kayak offers solace from a fast paced world and I find that I use it more often than my canoes. As you said, the great thing about it is that it is a low maintenance activity that nearly anyone can enjoy. When we have demo days with the local outdoor club, people are surprised how quickly they "get the hang of it."